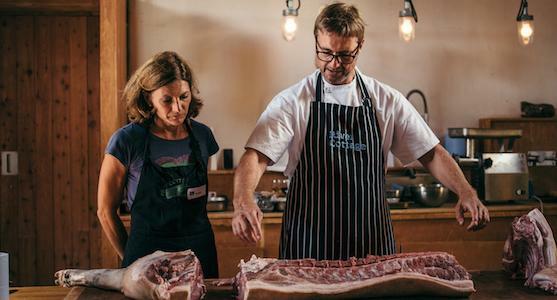 Master the art of pork from nose to tail and start to finish, with our intensive one day butchery course at River Cottage. 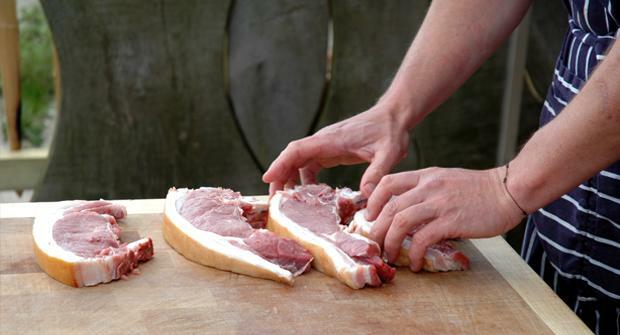 As well as learning the basic principles of butchery you'll learn to make your own sausages, bacon and salami. 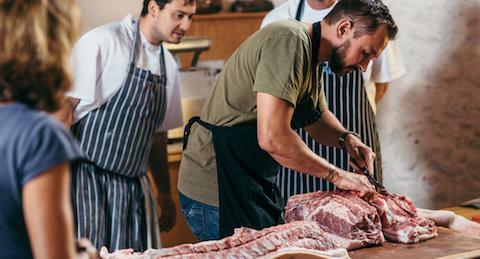 Bring home the bacon and much, much more, with our one-day course of hands-on meat tuition from Steven Lamb and the River Cottage chefs. 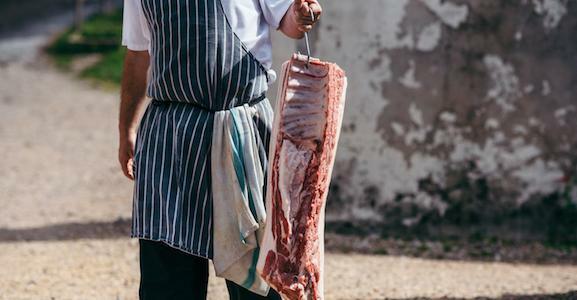 Pig in a Day will teach you how to get to grips with the carcass of a whole pig, transforming it into a wide range of products and delicious pork recipes. 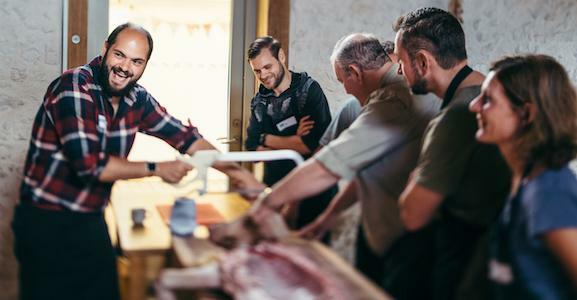 Working in a small group, you’ll be introduced to the basic principles of butchering a pig and learn to make your own sausages, air-dried ham, brawn, bacon, chorizo and salami. We’ll make you feel at home with a two-course lunch and the chance to explore, amid the idyllic surroundings of River Cottage HQ. “Did Steve and Gill achieve their stated objective of giving us confidence to ‘have a go’ at home in the space of just one day? I’d say that answer to this is a resounding ‘yes’.” – Artisan Southwest. First you will cover husbandry, the carcass, and how to butcher a pig into the primary cuts. You’ll also be introduced to key recipes such as brawn and devilled kidneys. Next you’ll learn how to make sausages, liver pâté and a range of delicious offal recipes. Food is always the focus at River Cottage, and a two-course lunch of local, seasonal fare and porky products will be one of the highlights of your day. Next you’ll get to grips with fabulously flavoursome chorizo, dry cured bacon and prosciutto-style ham. There will be time to chat to your fellow scholars and the River Cottage team, before being whisked back up the hill by our tractor and trailer (at 5pm), sausages or chorizo in hand.